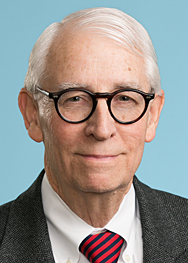 On January 24, the U.S. Court of Appeals for the Eleventh Circuit dismissed an appeal of a decision by the U.S. District Court for the Southern District of Georgia that denied a preliminary injunction that would have enjoined the enforcement of the Environmental Protection Agency’s (EPA) and the U.S. Army Corps of Engineers’ redefinition of the regulatory term, “Waters of the United States” (the WOTUS rule). This action swiftly followed the Supreme Court’s unanimous ruling in National Association of Manufacturers v. Department of Defense, which held that the initial appeal of the WOTUS rule cannot proceed in the federal Courts of Appeals . The decision of the lower court was vacated and remanded for further proceedings in light of the National Association of Manufacturers decision. More such rulings are likely to follow soon. This case is State of Georgia, et al., v. Pruitt.